How is this for a change? 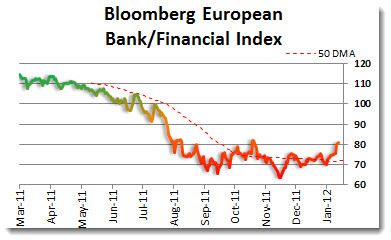 What a difference a couple of weeks (and a $90 billion backdoor bailout from the U.S. Fed) makes…. The charts tell the story. 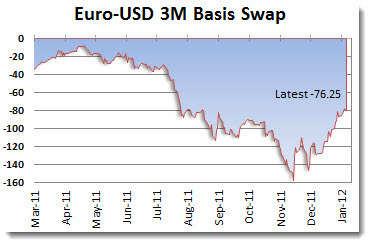 The Euro 3m Basis Swap has gone from -170 to -76. Impressive change of sentiment. 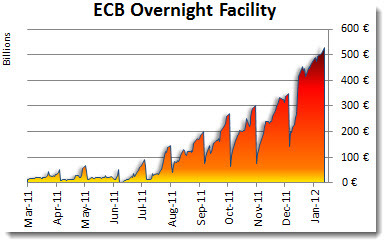 At the same time the amount of money at deposit by financial institutions with the ECB hit a high. This is contradictory to the above and other measures that show banks willingness to lend to each other. 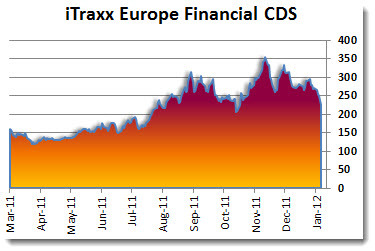 The cost of insuring bank debt is receding. 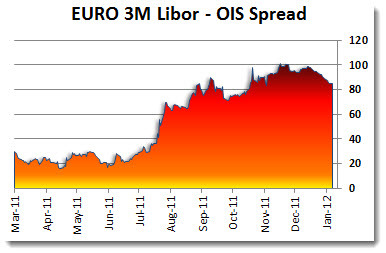 And,the Libor spread is starting to calm down. 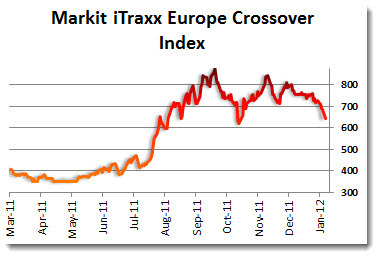 As this occurs,the crossover index is starting to move lower. With all the above, investors are getting a bit more cozy with the idea that banks may have seen the worst of it and are backing up the truck to buy shares.